Give them a checklist of things to take care of before they bid adieu to your community. This can include chores but also errands like paying utility bills. Work out a timeframe. 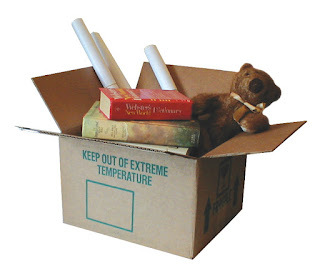 A date for move-out is a good start, but you'll want to have a set time in mind for that day clarified. Otherwise, you could find yourself with procrastinating tenants working until midnight to move out. Why bother with these steps? If you've ever witnessed an unsuccessful move-out, you'll know why these tips are so important. Unprepared tenants often leave late, take things that don't belong to them, and get upset when they are charged for things they've damaged. Do your due diligence and prepare for push back!